I am so very excited to announce New Services by Dawn Welburn LMT here at ReAwaken Through Touch. I have spent the past few months in intense study and workshops for both Pregnancy Massage and Birth Doula and am in the last stages of the certification processes. I am so pleased to now be able to offer these Services to the women in the NYC Metro community. 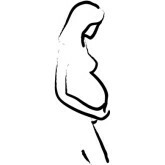 Both Pregnancy Massage and Birth Doula are Services that have you, the Mother, at the center. Knowledge of the physiological changes within the body from the time of conception through 3 months Postpartum are at the core of this work and the safety of Mom and Baby at its forefront. Services are Integrative and Individualized for each client, as with all of my other services which I provide. My vision is to assist you in having a safe, comfortable, joyful and pleasurable organic birth experience. For more information, please take a look at the specific pages on the website for each of the services or contact Dawn at ReAwakenThroughTouch@gmail.com. ← Mother’s Day Special Offers! !